100% Pure beta-Alanine. Ideal for high intensity and endurance activities. Increases muscle carnosine levels and helps delay fatigue. Formula for increasing sports performance. CarnoSyn® Beta-Alanine. It provides 2250mg CarnoSyn® Beta-Alanine per capsule. Pre-workout. It provides creatine monohydrate, beta-alanine and L-carnitine AKG. Pre-workout with creatine and 300mg of caffeine per serving. Pre-workout with Beta-Alanine, Arginine, Taurine, Caffeine and GlyceroMax, for the most demanding athletes. Pre-workout specially designed for athletes with Citrulline, Beta-Alanine, Creatine, vitamins and minerals. Creatine Ethyl Ester and Beta-Alanine. It provides 2250mg of Amix BetaBolix per serving. Special pack of products for vegans, staying fit is no longer an excuse! Beta-Alanine + L-Histidine + Sodium Citrate. Liquid pre-workout. With beta-alanine and caffeine. It provides 600mg of beta-alanine per daily dose. Liquid pre-workout made of caffeine, amino acids and vitamins. The itchiness is part of the process, I would reduce the dose if it became unbearable, although I've never reached that point. Otherwise it is a good supplement. I have noticed that I recover successfully between sets, which directly results in a better performance. Although I personally do not like this format, I think I'll stick to capsules. Clinical studies have proven that Beta-Alanine stimulates the synthesis of carnosine and increases the pH of muscle cells. This delays the acidification of the organism, which stimulates the ATP, delaying muscle fatigue considerably, enhancing the muscle performance, longer workouts and overcoming previous limits. There is scientific evidence that proves the efficicacy of beta-alanine, which is why we can state that its results are totally reliable. The scientific reasons endorse the efficiency of beta-alanine in a simple and practical way. This is the reason why we are going to talk about the benefits of beta-alanine here, without complex explanations. 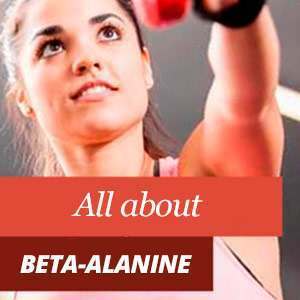 Where can I buy beta-alanine? Athletes who perform strength exercises, bodybuilders and those who practice weightlifting. People who want to enhancer their performance. Runners, cyclists, footballers and hockey players. Those who train intensively in all kinds of exercises, as well as strength and endurance sports. Athletes who feel that they have reached their limit and who are ready to take it to the next level. The improved physical performance usually happens after two weeks of taking beta-alanine. Although some people experience it from the very first week. The levels of carnosine increase when we take beta-alanine, which results in an improved physical performance. The most outstanding results are usually experienced after two or three weeks. Recent research has proven that the carnosine levels can be increased for a maximum of twelve weeks, which is the reason why it is advisable to use beta-alanine for three months at least in order to optimize the levels of carnosine as much as possible. You can find beta-alanine supplements from the best brands and at the best price in HSN. 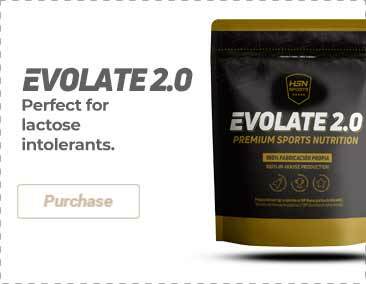 More specifically, we suggest purchasing the supplements by HSNraw, in-house production, beta-alanine powder that is perfect for high intensity and endurance activities.